The Nigerian Maritime Administration and Safety Agency (NIMASA) has defined its strategic plan to end Cabotage waivers for non-indigenous ship owners within the next five years. 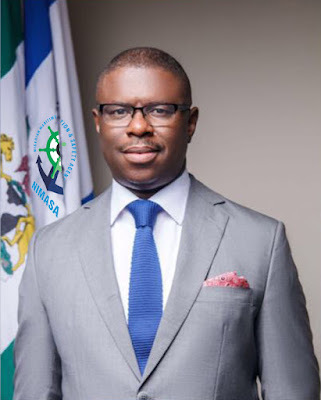 Director General of NIMASA, Dr. Dakuku Peterside, in a stakeholder’s engagement in Lagos on Wednesday, said the road-map aimed to actualise full implementation of the Cabotage Act, 2003, for the promotion of indigenous participation in shipping in Nigeria. Recall that the Cabotage Act 2003( Which became effective 2004), was to enable Nigerian ship operators engage in the coastal trade of carrying Nigerian-generated cargo, as its provisions included that such ships must fly Nigerian flag, ships be owned by Nigerians, built in Nigeria and crewed with Nigerians. Dakuku noted that in its early efforts to make Nigerians benefit from the cabotage regime, it was able to double the number of Nigerian crew onboard vessels as a result of an initial six-month marine notice to have only locals for that cadre. He said: “In that marine notice we informed operators that we shall no longer entertain any form of application for manning waiver safe for captains and chief engineers. At the time, it was for six months and we noticed that under six months we literally doubled the number of Nigerian onboard vessels by simply publishing and enforcing the new cabotage strategy. The NIMASA strategic plan is working on achieving lower interest rates in discussions with the Central Bank of Nigeria (CBN) and push for favourable policy to enable the Nigeria Customs Service review duties on ship-building materials. That way, indigenous players would be able to compete favourably with foreign counterparts. “Still on ship-building, we have commenced discussions with the apex of the Nigeria Customs and the Ministry of Finance, to look at the tax regime, as the current regime is not favourable to indigenous operators. “The issue is to enable our people bring in components to build vessels in-country and what tax incentives can be given to those who build vessels in-country. Those engagements are going on at the office of the Vice President, to look at the possibility of creating a number of incentives for those who can build vessels in-country. 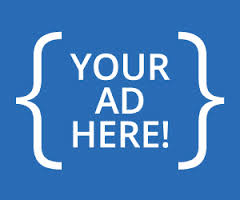 We believe that if that is done, a lot of investments would be done in that area. “We are also working with the Nigerian Content Development and Monitoring Board (NCDMB). To that extent, we have commissioned an audit of all ship –building yards in the country, to identify the level of support we can give them to enable them come back on stream fully. "The bigger picture, in the next five years, we want certain categories of vessels to be built in the country, so that we will put an end to bringing literally all vessels we need from outside the country, and create job for those people and create unemployment here by patronising foreign built vessels. “The current regime makes it impossible for them to compete with their foreign counterparts. Foreigners bring in vessels for a short period and they have a special tax regime and so they pay little to nothing, their vessels will come into the country, work and leave. Whereas, if you are bringing vessels into the country, you are charged full range of all taxes applicable and at the end of the day you cannot compete with your foreign counterparts,” Dakuku said. The NIMASA Boss also said that the Agency had continued to boost the Nigerian Seafarers Development Programme by training about 2000 cadets for seatime in various schools. It has also seen to the take-off of the Nigerian Maritime University, and still giving support to various maritime institutes, in its effort to growing manpower for the industry. Dakuku expressed hope that with its reforms in the area of the Nigerian Ship Registration Office (NSRO), the Engr. Emmanuel Ilori-led stakeholders committee would be out rewarding results to reposition the ship registry to match global standards. He said: “I am glad to say that they have had discussions with Lloyds London, ABS of the USA and other major classification societies and ship registries in the world. And a number of them are excited to work with us in Nigeria.